For this assignment, we were asked to find a newspaper from Tuesday the 23rd of October 2012, and select an article to visually explore. The newspapers I've picked up were The Daily Mail, The Independent and The Guardian. 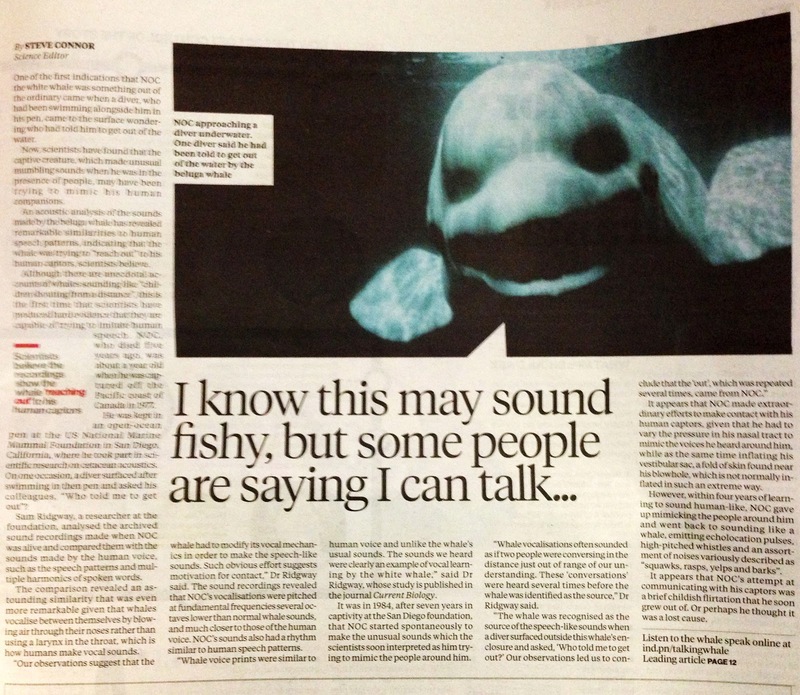 "The whale’s sounds were produced in a way different from normal whale sounds. Unlike echolocation clicks, ordinary pulse bursts, and whistle-like sounds, the production of speech-like sounds involved marked inflation of first one and then the other vestibular sac. This was readily observed on the surface of the whale’s head and may have been necessary to emphasize lower frequencies of the speech-like sounds. In usual white whale sounds, such extreme inflation of these sacs is not evident. Sadly, the speech-like sounds disappeared after four years when the beluga had matured." 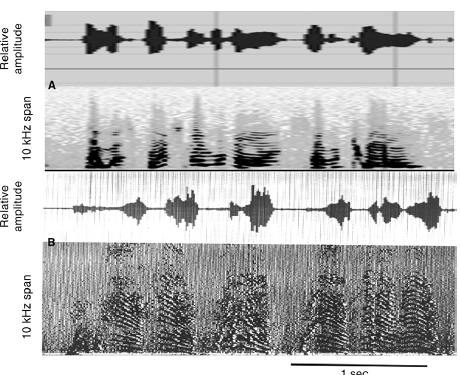 "The amplitude and rhythm of the whale’s sounds were very smilar to that of human speech; here’s a sonogram from the paper showing the resemblance."